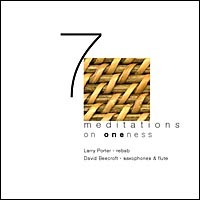 David Beecroft and Larry Porter had worked together in various jazz groups, when they decided to experiment with combining the rebab with saxophone and flute. 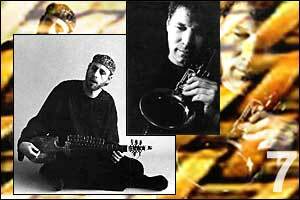 They used various Indian ragas as well as scales which they invented themselves as a basis for improvisation. Each meditation unfolds slowly over a tambura (drone) accompaniment, which itself is varied from piece to piece. It is remarkable how the musicians manage to create such a homogeneous sound, given the fact that they are playing these instruments outside of their traditional settings. DAVID BEECROFT hails from Toronto, Canada, where he grew up surrounded by music, his father and two brothers all being musicians. He began with piano lessons but soon followed in the footsteps of his father, Bill Beecroft, and switched to saxophone. After winning the “Most Outstanding Player” award in a Canada-wide competition at age 18, he started working with his own quartet in local clubs. In 1979, David was invited to Amsterdam to play and record with musicians such as John Clayton, Toots Thielemans, and Wilbur Little. Throughout the 80s, he worked with his father’s dance band and continued his collaboration with Canadian jazz musicians. By this time, he had become proficient on flute and all saxophones. In the early 90s, he played with the Norman Marshall Villeneuve Sextet, Don Thompson, Bob Mover, Neil Swainson, Lorne Lofski, Moe Kaufman, Guido Basso, Rob McConnell, Pat LaBarbara, and American jazz vocalists Chris Connor and Chris Bennett. In 1994, David moved to Berlin, Germany, where he has established himself as a highly respected artist. He performs and tours for Jazz Radio Berlin and leads his own group, Unsung Heroes, together with vocalist Gigi Andersson. He has written a saxophone improvisation method book, Sound, Modality & Movement, and is also active as a recording engineer and graphic artist.